Wind up for the holiday season with Tribes Hill! We will be delighted to welcome you to our new home at the BeanRunner Café, located at 201 South Division St. Peekskill, NY 914.737.1701 It’s a good idea to call ahead for a reservation. The BeanRunner has a complete café menu, including wine and beer. Our heartfelt thanks to Drew and Ted for giving us the opportunity to present our series in a truly comfortable and artist friendly space. 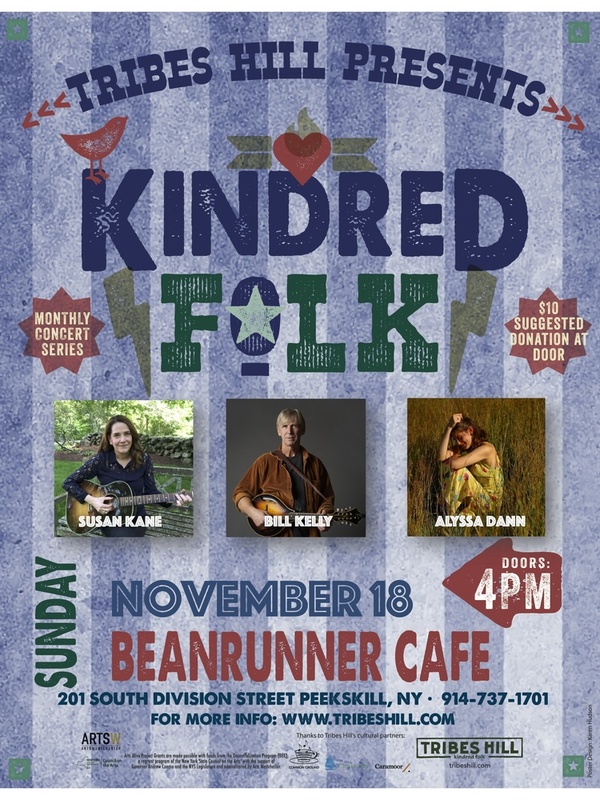 Tribes Hill Presents Kindred Folk, bringing you the best in singer songwriter talent. Proud to be partially supported by an ArtsWestchester ArtsAlive grant. $10 suggested admission at the door. Doors 4:00pm, the music starts at 4:30.